Our intent is to have all of our cows over time be at least in the 60 ttt range near 3 and be heading north to 70+. Its really important that they milk well and have good dispositions. We are adding fewer cows to the herd now and raising more of our own. 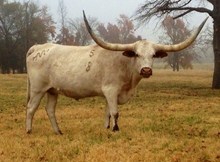 Glenda would never sell one, but a ranch only has so much productive grass.